There are a lot of options to consider when looking for a set of fins these days and it’s never been more important to get it right. Fins can make or break a board’s performance. Get it right for the conditions and it will seem like there isn’t a drop of water out of place. Get it wrong and you’ll be at odds for the entire surf. To make things worse the marketing hype is loud and noisy. Feel overwhelmed? You’re not alone. We’ve been hearing a lot of good things about these Mick Fanning fins and so decided to put a set through its paces. 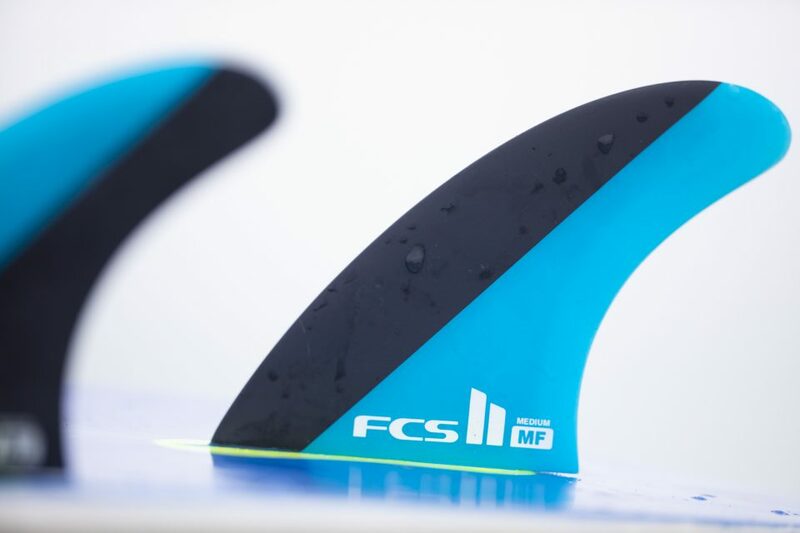 We tested a set of FCS II MF PC Thruster Tri Fins. That’s the Mick Fanning model with the performance core (PC) that is designed for consistency of flex – ideal for intermediate to advanced surfers. The stiffer performance glass (PG) and performance core carbon (PCC) models are aimed at advanced surfers who demand a more responsive fin in harder turns. 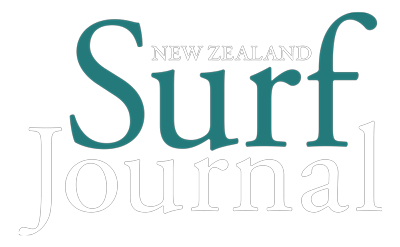 We tested a set of mediums that are aimed at a surfer in the 65-80kg weight range (I weigh 67kg) and we tested them in a 5’10”, 18 1/4″, 2 1/4″ SJS performance board with a rounded tail. 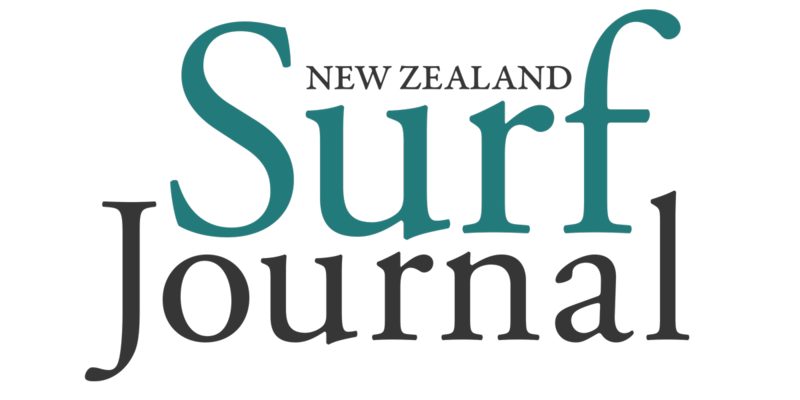 We surfed this set-up in a range of conditions ranging from small 2ft waves to 3-4ft peaks at St Clair Beach in Dunedin. The fins immediately gave my board a lively feel with plenty of drive through the bottom turns making it easy to generate speed down the line. They turn off the flats well and pivot sharply when asked without squirming or feeling skittery. On one of the first waves a reo section presented itself and the fins released cleanly and then re-engaged in the wave face again and powered up for the next bottom turn. It was a great start and built confidence in the setup from the outset. That feeling continued throughout the test surfs and the confidence developed with them. They’re a really dependable fin – even in choppy conditions they allow you to generate more speed than usual and hold lines that might otherwise become difficult. At no stage during the testing did we feel like the fins weren’t up to the task even on the bigger 4ft days. These fins definitely improved my surfing and suited my style and the board. I’m no Mick Fanning, but his fins give a very controlled line of speed, with maximum drive through your bottom and top turns. That’s perfect for the surfer who likes to snap hard off the top just as much as they enjoy holding their line on a long, carving roundhouse cutback. They’re a snap to install – seriously, they just snap into place like all FCS II models. Just push forward, then down and they’re in. They have a grub screw thread, but we didn’t bother with one since the fitment tolerances are so good. We’ve never had an FCS II fin fall out. 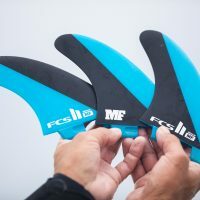 The FCS II MF PC Thruster Tri Fins will fit any board with the FCS II fin box system, but we reckon these are much better suited to a performance shortboard. If you’re a shortboard fiend and love to push your ability, then these could be a great set of everyday fins that will lap up beachbreaks and points and keep up with your ambition. 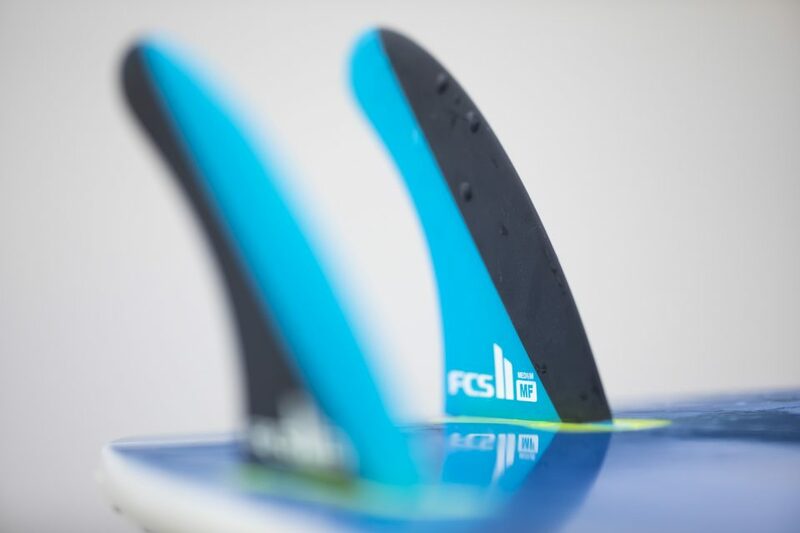 We tested a medium set of FCS II MF PC Thruster Tri Fins that are suited to a surfer of 65-80kg. 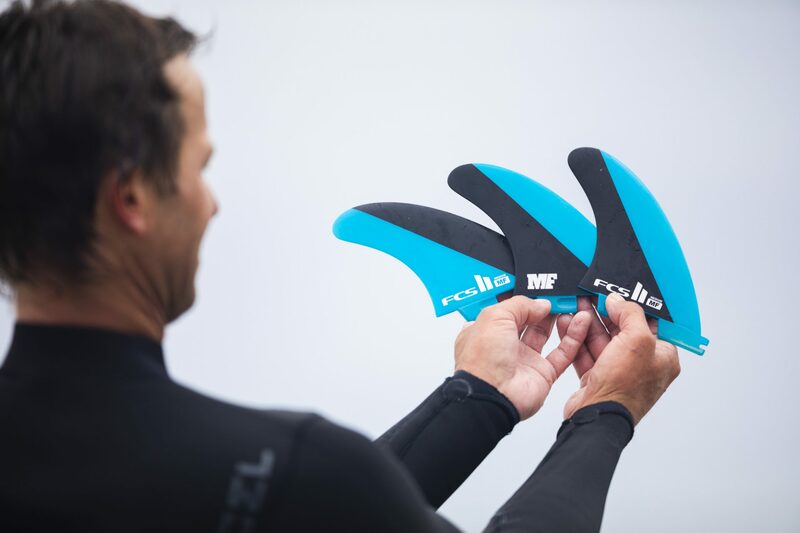 These fins have a performance core construction that enables a lightweight fin without compromising too far on flex. They feature a 110mm base, 114mm depth and 36° sweep. The ones we tested are the PC model and they retail for $199.00, while the new Neo Carbon version comes in at $149.00. We hope to review that one soon.